This is the page for Rachel's music and other creative endeavors. Rachel started playing guitar at 10 and she was leading worship at youth events by the age of 14. She has written many songs and self-produced two albums. You can download the MP3's here free of charge, but if you use these songs please do include the appropriate credits. 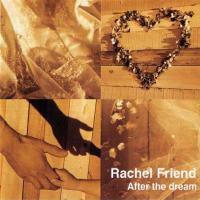 After the Dream was Rachel's first solo album, released in 1996, features Rachel on acoustic guitar and lead vocals, Claire Gibby on violin and background vocals, Malcolm Jackson on bass, and George on percussion. The title track was featured on Soul Survivor's The People's Album in 1996. Rachel's second album was released in 1998 and features worship songs from her time at St Michael's-on-the-Marlpit in Norwich. 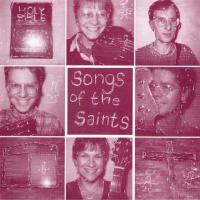 Along with Rachel, Claire, and Malcolm from the first album, these songs also feature Simon Snell on acoustic guitar and vocals, and Mike Goetz on percussion, keyboards, and vocals. Since the two albums, Rachel has recorded a few demos, some for The Essentials Worship Course through St. Stephens University in Canada.